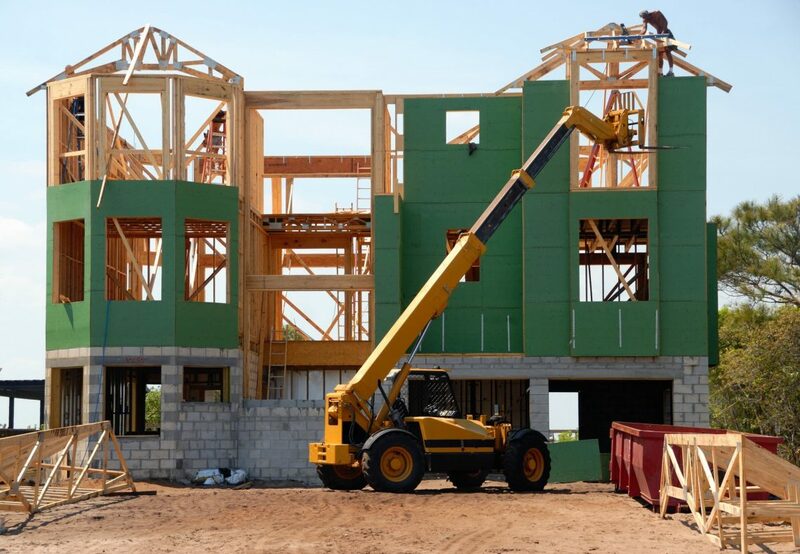 The construction industry relies on a vast armada of tools and machinery to ensure that there is a safe and effective fit for a wide variety of worksites. As a Texas contractor, you are likely looking for quality construction equipment for sale that can enhance your crew’s efficiency, improving costs and strengthening the value of your services. As a trusted provider of construction equipment in Throckmorton to help clients across Abilene, Odessa, and beyond, One Source Equipment is here to help complete your fleet. For years, we’ve contracted with trusted providers to supply crews with the best new and used construction equipment available, relying on our vast experience to optimize your experience. We work hard to earn your continued business, and our team is here to ensure that you are happy with the results. 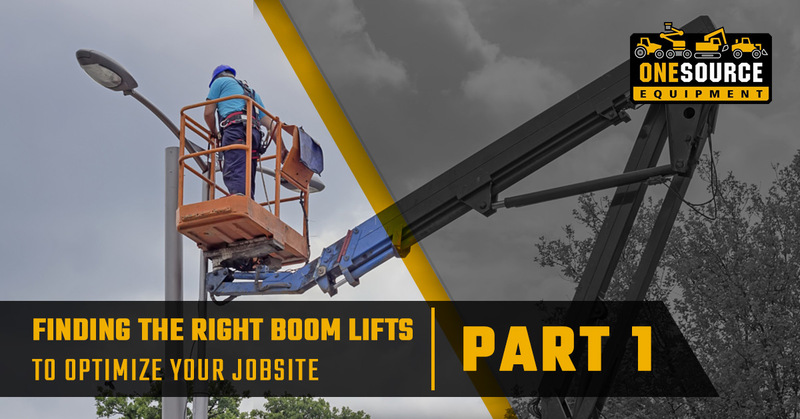 From articulating booms that bend and contort to scissor lifts for indoor applications, there are many types of boom lifts available to best meet your unique needs. Today, we’ll highlight the importance of finding the right tool for the job, as well as the benefits that each type of lift provides. When you are done, be sure to check our inventory to find the construction equipment you need. Don’t see what you need? Contact us today, and we’ll be sure to find it for you! 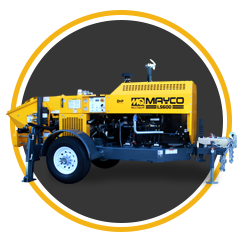 The type of machine you will need relies heavily on the height demands of your job. There are many types of lifts available, each with their own unique design intentions. 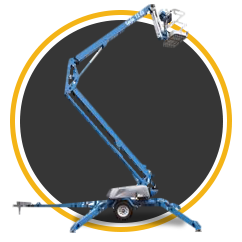 As an authorized Genie® lift provider, One Source Equipment is able to provide a wide range of tools for your needs. 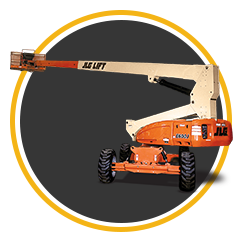 The size of your lift will vary widely, as work needs range from small lifts that reach 10 feet to impressive boom lifts that reach almost 200 feet. Unique applications will also result in unique demands, such as a scissor lift that can provide a deck extension for pivoting over a height for work. Every piece of equipment has different design specifications, so be sure to speak with an expert if you have specific standards to uphold. Dimensional demands can play a role in the type of lift you choose as well. If your site requires tall reaches in a simple scenario, telescoping booms are perfectly suited. If you need to work on, over, or in a structure, though, articulating booms are a much better choice. Each machine comes with its own benefits and costs, so be sure to reach out to our professionals if you need help! One aspect that may not receive enough attention in the construction industry is the dimensional restrictions of your new aerial lift. Indoor applications, especially, often rely on weight and size limits to ensure safety throughout the entire project. An interior slab may have a lower load capacity for a variety of reasons, for example. In this case, a lightweight boom will be the only choice. Be mindful of the total weight of your boom lift and not the equipment mass alone. Tools, materials, and personnel will all be in the lift while in use. In some scenarios, sizing restrictions may limit your choices of construction equipment. Sites with limited access points will likely determine the acceptable width and height of your machine. It’s helpful to find specialized equipment to meet your unique demands. JLG, for example, has compact crawlers that fold in. The outriggers and boom collapse inward, allowing you to work at height while fitting through doorways. When renting equipment for a specific project, be sure to measure the site thoroughly to prepare for the job’s size and scope of work. Tools such as an ultrasonic distance meter can be helpful during this planning phase. If you own your machines, it’s still important to investigate the jobsite and its unique properties to account for any potential dangers or setbacks. Purchasing new or used construction equipment is a major investment that can either help or hurt your bottom line. 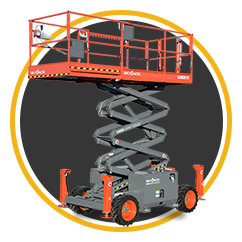 It’s essential to find the ideal boom lift for your needs to ensure the best return for your efforts and financing. Next time, we’ll continue to discuss different aspects of construction that can affect which machine is the best choice. If you’re looking for construction equipment in Throckmorton and beyond, our Texas company is here to help. One Source Equipment has the products, expertise, and processes needed to create an optimal buying experience for you or your company. Contact us today for assistance!